You can easily fix the water problem throughout your entire home with the Omnifilter U30 and not even break a sweat. The unique quick connect technology makes it a snap to install for the do-it-yourself homeowner, and it comes complete so you won't find yourself under the kitchen sink missing that one crucial component! It's an easy fix; order, install, sit back, and relax knowing you've provided superior water quality for your family! The OmniFilter Whole House Water Filter System. Reduces rust and sediment for clean, clear water. Clear filter housing for easy visual filter inspection. 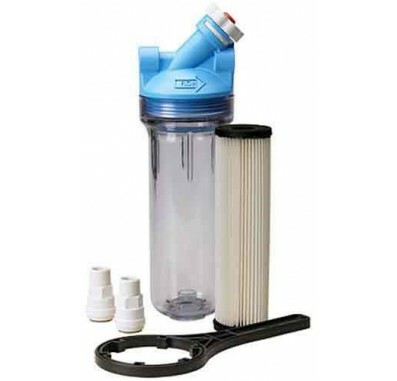 Easily change the filter cartridge without even shutting off the water. Complete system makes this a convenient and economical choice.